Guardian Fall Protection's Halo Harness combines comfort, durability, performance, and utility. Based on the award winning edge series harness, the Halo Construction Harness incorporates even more features and benefits. 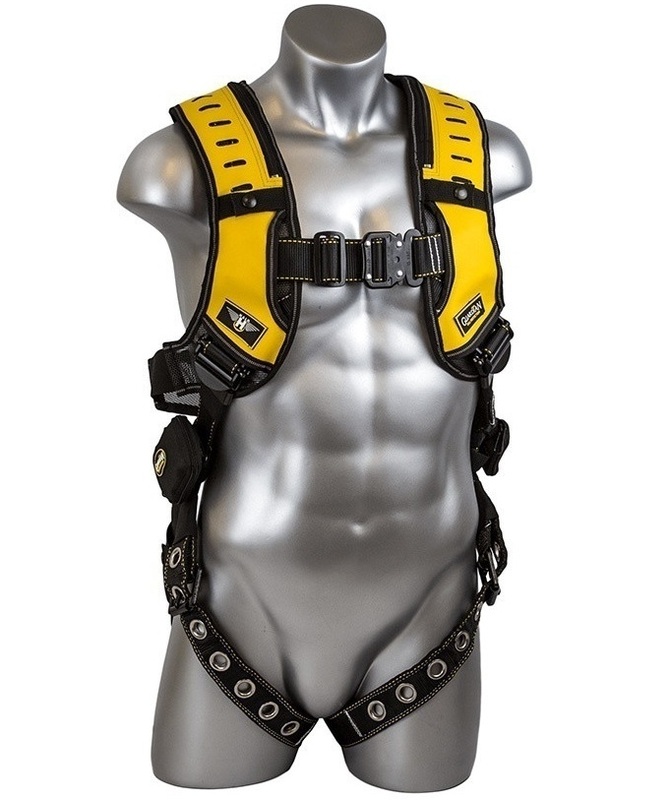 This harness features black powder-coated hardware, included trauma straps, and improved adjustment buckles. Applicable Standards: ANSI Z359.11-14, ANSI A10.32.12, OSHA 1926 Subpart M, and OSHA 1910.